Lucy and Mary Jane meet Pat Collins, a celebrity hypnotist, at a fashion show and are invited to her night club performance. Mr. Mooney is suffering terribly from insomnia, so Lucy takes him to see the "hip hypnotist", Pat Collins, who is performing. 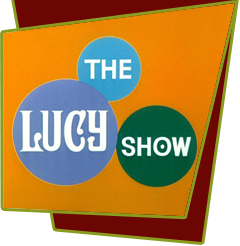 Pat makes Lucy and Mr. Mooney two of her subjects and she hypnotizes them on stage. The two portray Laurel and Hardy, as well as perform other goofy stunts. Then she leaves Mooney with a post-hypnotic suggestion to cure his insomnia and will fall asleep just by saying a certain phrase. Naturally, he doesn't believe it will work but by saying "Nighty Nite Snooky-Ookums", he is fast asleep.